HOUSTON, Texas (KTRK) -- Sunday, Deshaun Watson showed some play on the field that all Houston Texans fans are excited about. But that's not the only reason the new quarterback is a city favorite. 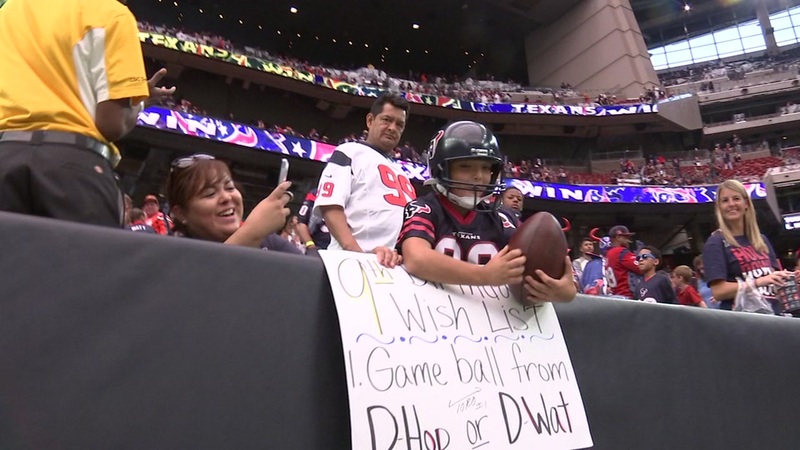 A little fan brought a sign to yesterday's game, saying all he wanted for his ninth birthday was a game ball from either D-Hop or D-Wat. After the game, Watson got a Texans staffer to take a game ball to the young fan. The staffer told the boy Watson wanted him to have it for his birthday. You can see the boy's reaction and he was thrilled. That will definitely be a birthday present this NFL fan will always remember!